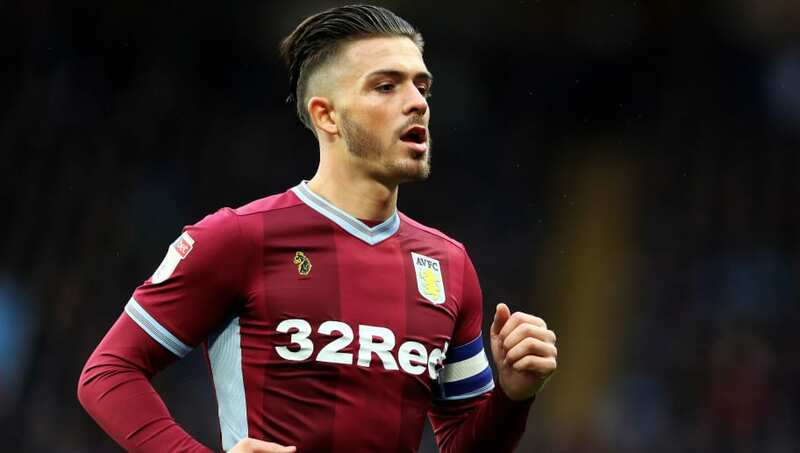 ​Jack Grealish had the perfect response to Birmingham fans who displayed a banner supporting the jailed Paul Mitchell, infamous for punching Grealish after running onto the pitch in the Birmingham derby. Despite the attack, Grealish, who was Aston Villa's captain that day, scored the winner against their city rivals. The attack was condemned by many, with Birmingham City coming out in support of Grealish, but a section of Birmingham fans have been photographed parading a banner around during their trip to Preston on Saturday that supported the attacker Mitchell. ​As reported by the ​Mirror, the banner read: "Freedom of The City Paul Mitchell," with Mitchell being shown as English monarch King Henry VIII. Grealish however, had the perfect response. He simply tweeted a photo of himself celebrating his derby winner, in a direct reply to the photo. Another image was circulated on social media showing a St George's flag with the ​Birmingham crest with the saying: "Only one Paul Mitchell SOTV," with the abbreviation standing for "s**t on the Villa". Despite the horrendous attack, Grealish is continuing to perform well for his ​boyhood club and will be hoping to put the incident behind him.